Standing at the finish line of the Half or Full Marathon one sees runners of all shapes and sizes… and emotions. There is the accomplished athlete…the elites who glide in like gazelles. Then there are the rest of us…some hobble across the finish line with a look of pain and suffering in their eyes and some with a happy smile of accomplishment on their faces. Each one has a story to tell. Each one has followed a training program of some kind. The question is not whether the training program got them a personal best timing but whether it added to their lives in a positive way and nurtured their love for lifelong running! My quest for being a better man through running led me to Danny Dryers book, ‘Chi Running: A Revolutionary Approach to Effortless, Injury-Free Running’…it has transformed my running and racing. In this final piece in the Chi Running Series I l will talk about my experience with the Chi Running Half Marathon Training Program. Do have a look at my previous blogs to get an idea of Chi Running before you decide to try it out. My Experiments with Chi Running. Chi running – The Basic Running Technique. Chi Running – From Theory to Practice . The Mantra : Form – Distance – Speed. Putting it in a nutshell – learn the Chi Running Form…practice holding it over the distance through the mind-body connect…speed and endurance will automatically ensue. Chi Running believes in a graduated learning approach as a pyramid. The running form is the base of the pyramid with the maximum time being spent on learning and adapting your body to the correct running technique. As one improves, the aim shifts to building the strength and endurance over longer distances while maintaining correct running form. The combination of the Chi Running form and endurance leads to greater stamina, running efficiency….faster timing…QED! Without much further ado – the brass-tacks of a 16 week beginners half marathon training program. Focus on learning the Chi running form. Never extend a run beyond the point when you can’t sustain your form. Run 400, 500, 800 m repeats at 80% of your max speed for form intervals. The break between the intervals is a jog/walk for the same time which you take to run the repeat. Use the Mental focuses to develop the mind body connect. Alternatively you could use the Chi running app (Android, Apple). Rest implies active rest days with alternate type of light physical activity such as yoga, cycling or swimming. Monday is full rest day. By now you will be comfortable with the Chi Running Technique. Focus on sustained physical and mental strength to build endurance. Experiment with your running pace to get a feel of your race pace. Visualise the race and practice every nuance of it. The pre-race preparation – the dress, the shoes, the gear. The start, the run, the finish and the celebrations. Get physically and mentally ready to peak at the right time. Gee Ess, a runner-thinker-blogger, constantly experiments with various running methods. He had recently written a blog on Maffetone Running , the readership of which changed the off-season running plans of many and helped many more runners with increasing their weekly mileage. As he constantly improves and learns from his experience, he blogs his knowledge to helps his tribe by keeping them better informed and become better runners. 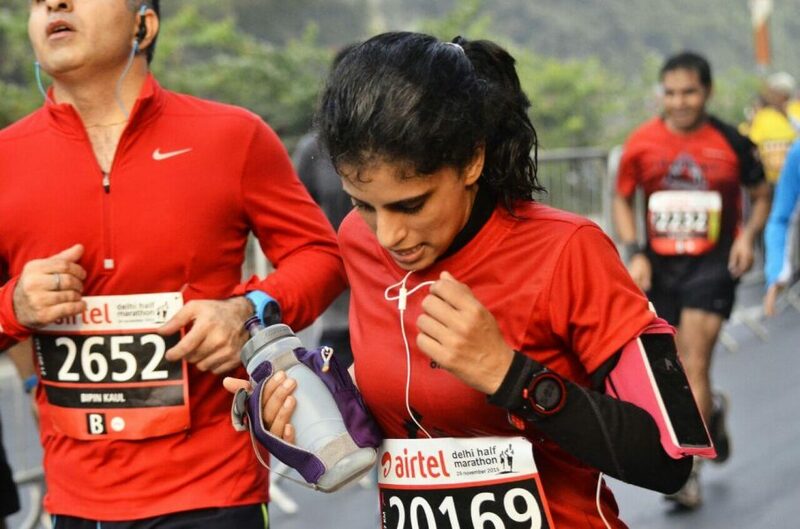 Always looking for the next big high -physical, social, intellectual or spiritual, Gee Ess got hooked onto endurance running with ADHM 2014. A multitude of full and half marathons since then, he enjoys penning down the intriguing nuances of running that go beyond and hit the mind of a runner.